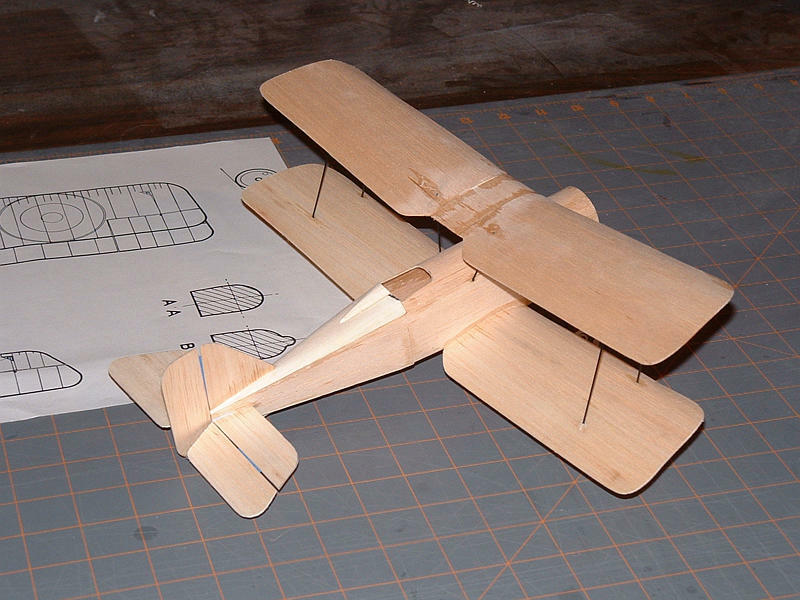 Cancelled this by tossing the heavy airframe. 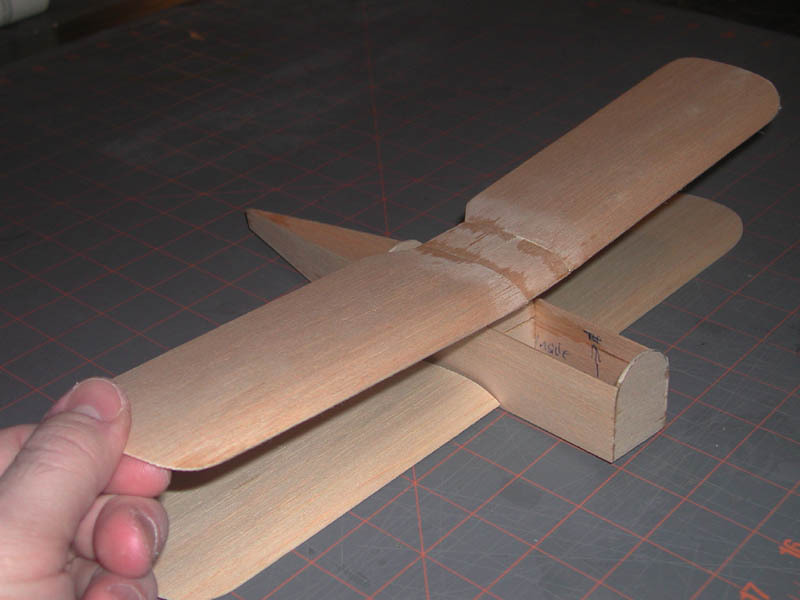 I'll rebuild with contest balsa when I set up my new shop. 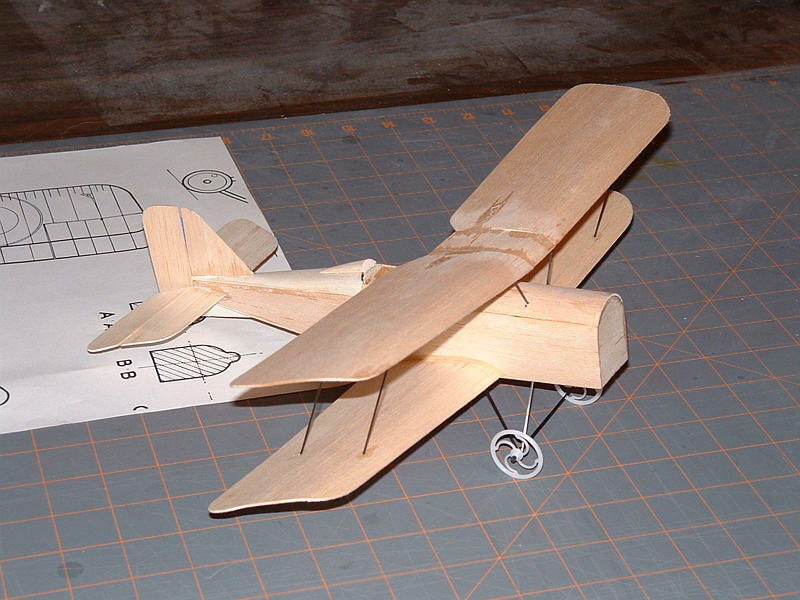 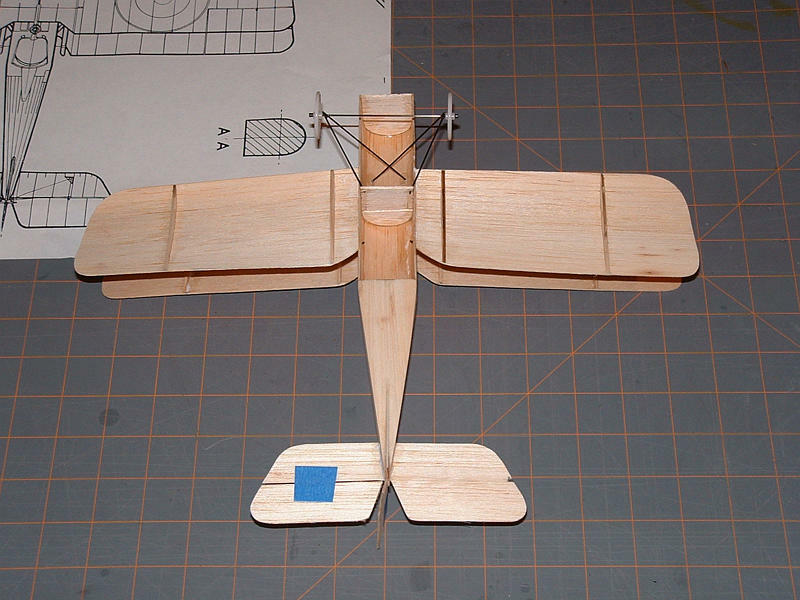 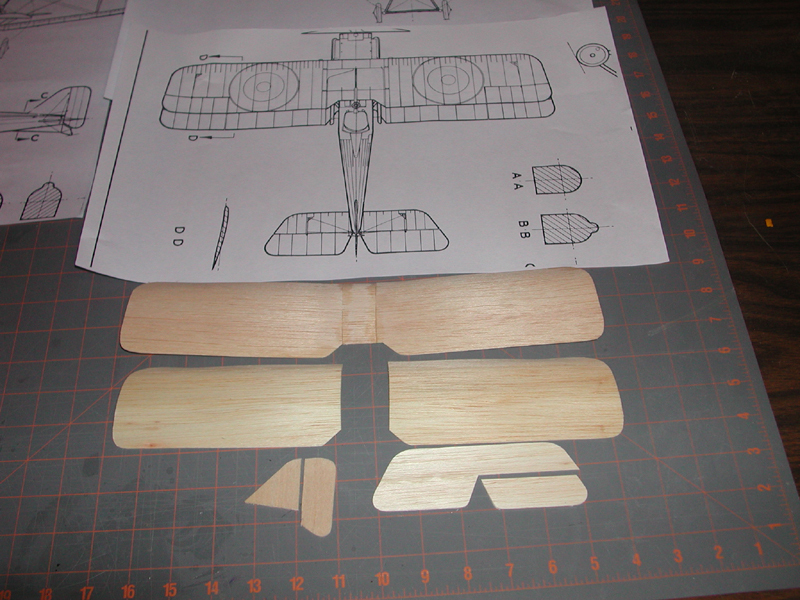 Airframe completed, including landing gear, struts and top wing mounting. 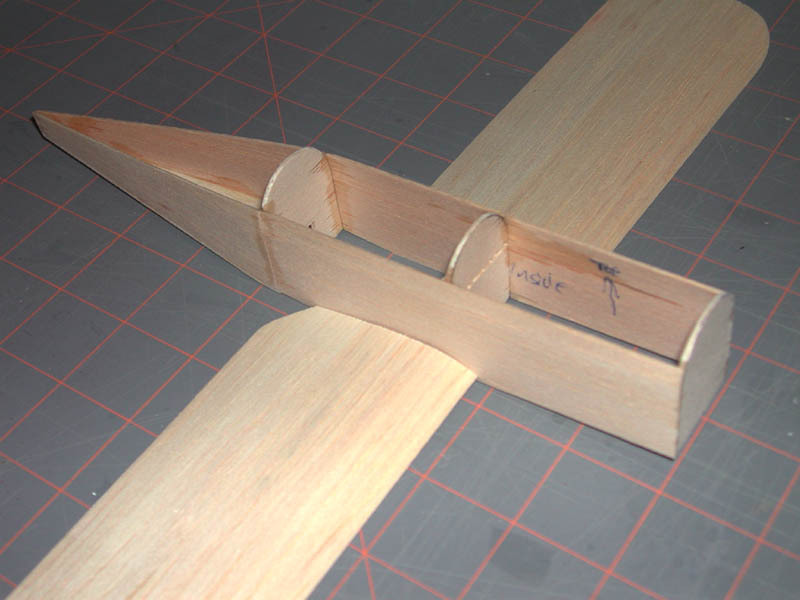 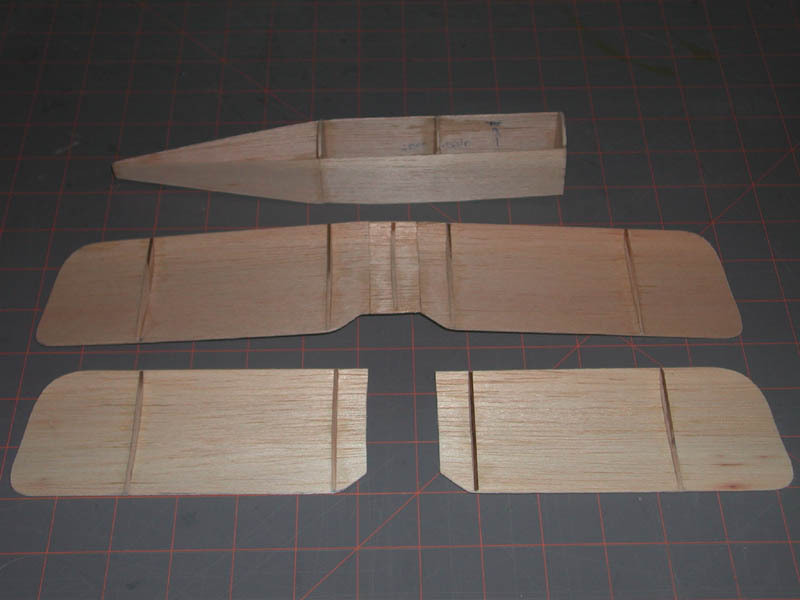 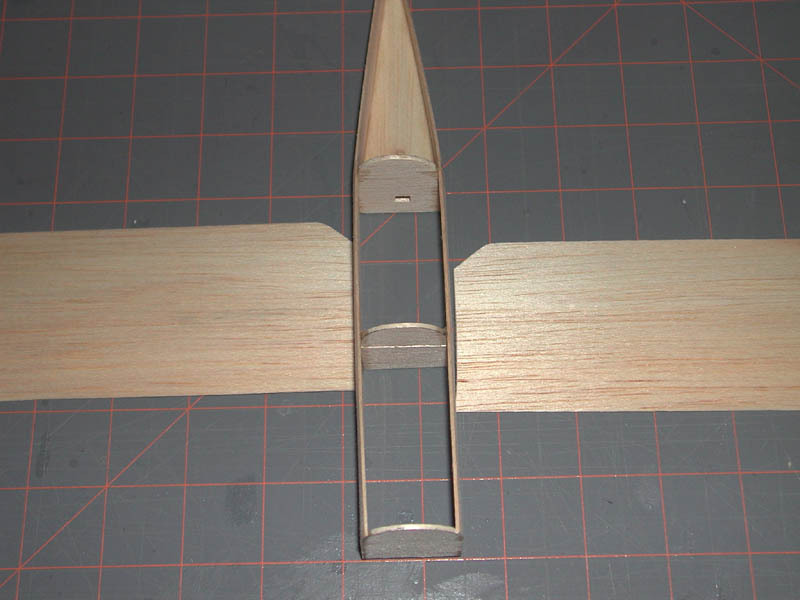 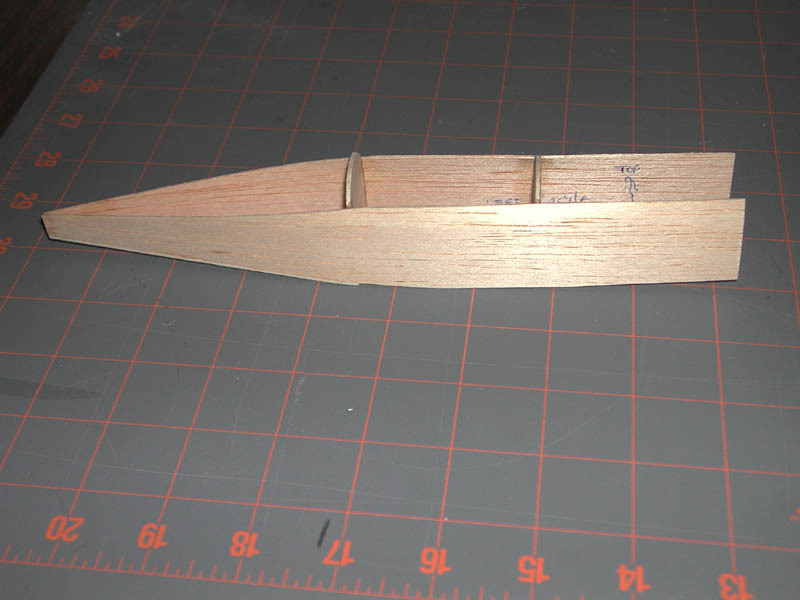 Control surfaces cut out but held on with masking tape for presentation. 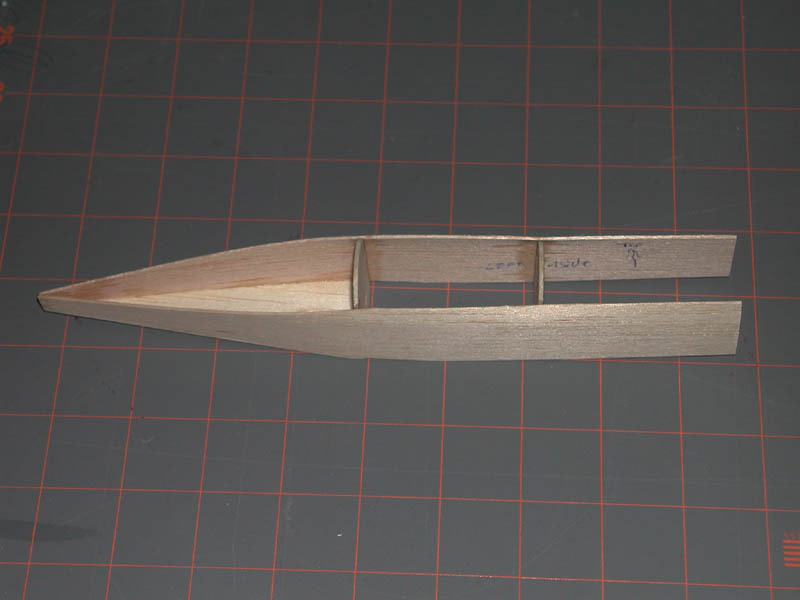 Weight so far - 11 grams. 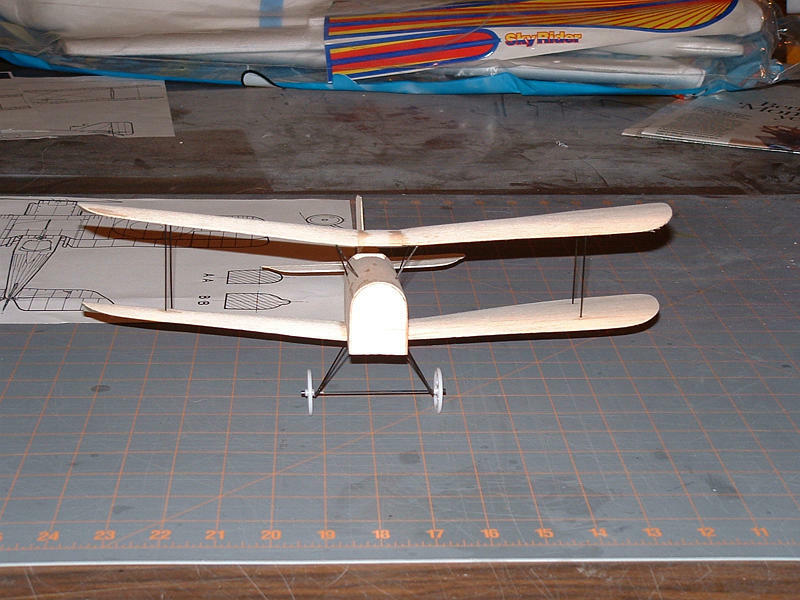 This is the second airframe I'm attempting with my Dynamics Unlimited RFFS-100 system. 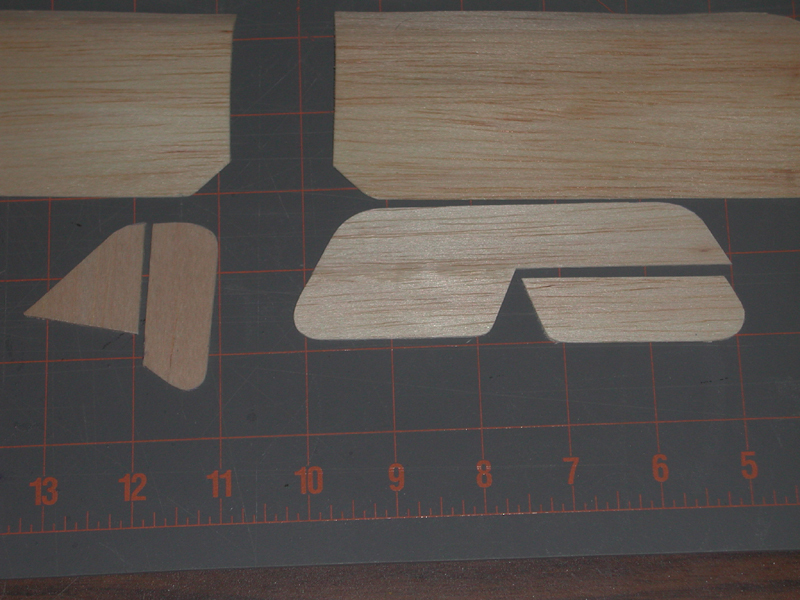 The Micro-IFO, while fun, isn't really scale, and that's where my heart is. 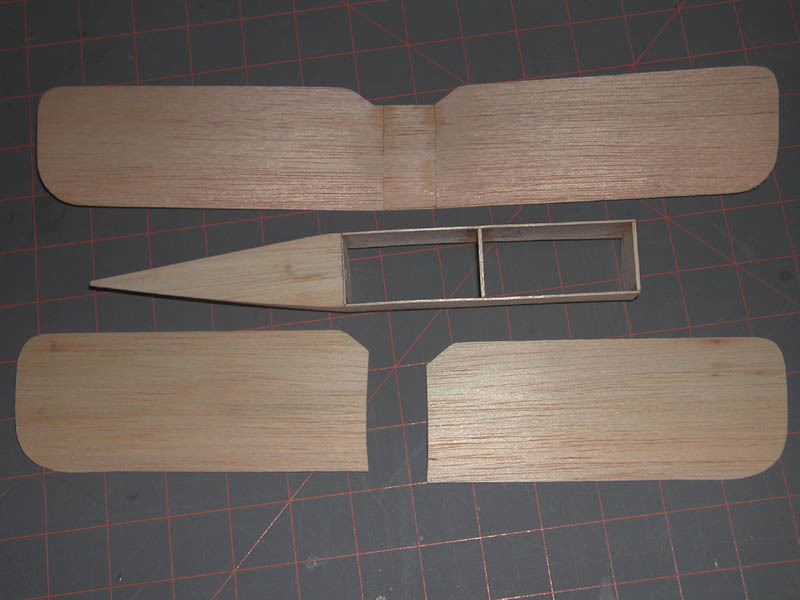 My friend Gordon Johnson promised to do a 13" wingspan Fokker D-VII, so I'm doing the dogfight partner for it - a 13" wingspan RAF Se5a. 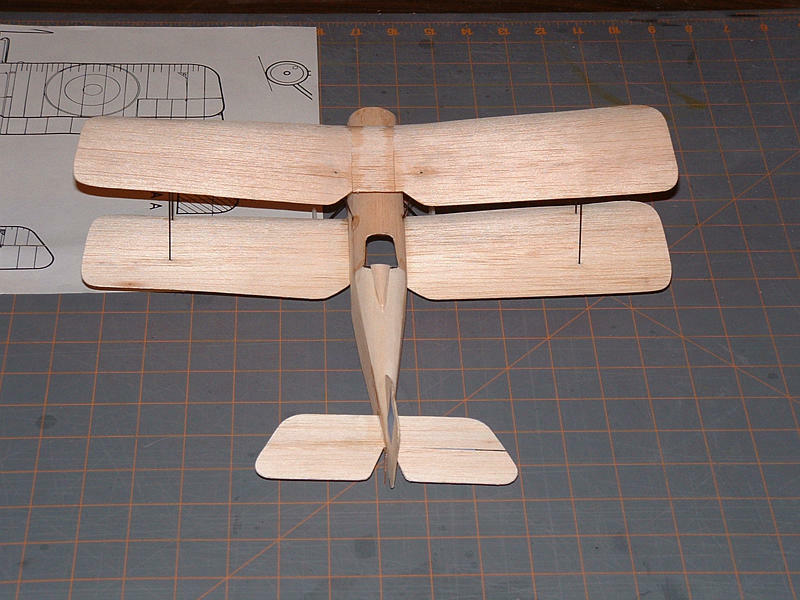 So far I have the wings roughed out and the tailfeathers started.